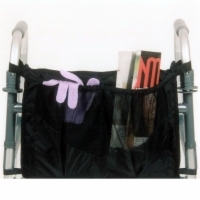 Owners of mobility scooters and electric wheelchairs aren't the only people who need extra storage space while they're on the move - walker users need cargo bags, too! 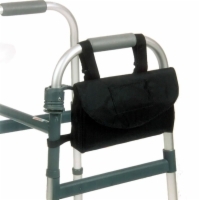 We offer walker bags in three different sizes; two attach to the side fo your walker, and the other one attaches to the front end. These cargo bags are perfect for carrying everyday necessities like wallets, keys, cell phones, and more. 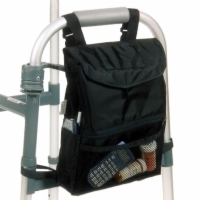 Call 1 (800) 790-5523 today to order your own walker bag!